Iraqi army soldiers, backed by fighters from pro-government tribal units, have fully liberated a strategic district in the western province of Anbar from Takfiri Daesh terrorists. A high-ranking military source, speaking on condition of anonymity, told Arabic-language al-Sumaria television network on Wednesday that government forces and their allies had taken control of the Jazira al-Haditha region, which lies east of the city of Haditha and about 240 kilometers northwest of the capital, Baghdad. There are reports that Iraqi forces are advancing towards the Jazirah al-Baghdadi area in an operation to drive out Daesh Takfiris from the region. Additionally, 15 Daesh members were killed in al-Kasiriyat as 11 Daesh rocket launching pads were struck in the village. The developments came a day after army troops and allied paramilitary tribal fighters managed to free the villages of Jirnaf, Eitha, Ba’ajah, Khanouga and Jmesah on the outskirts of the northern town of Shirqat. They later entered the village of Houriyah on the northern edge of Shirqat, and freed the village of Jumaila on the western flank of Shirqat. 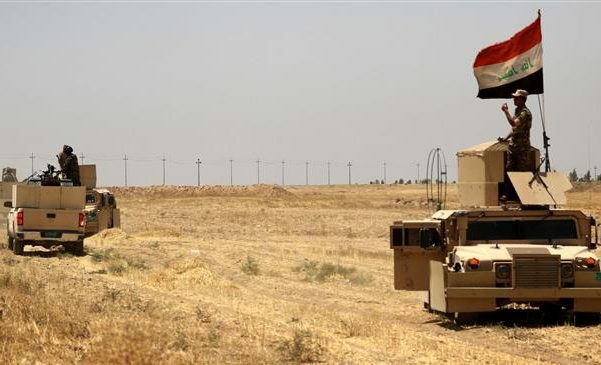 Late on Tuesday, Iraqi air force fighter jets targeted a Daesh convoy of nine vehicles traveling along a road in al-Rashad district, located 55 kilometers southwest of Kirkuk, killing 10 Takfiris in the process. 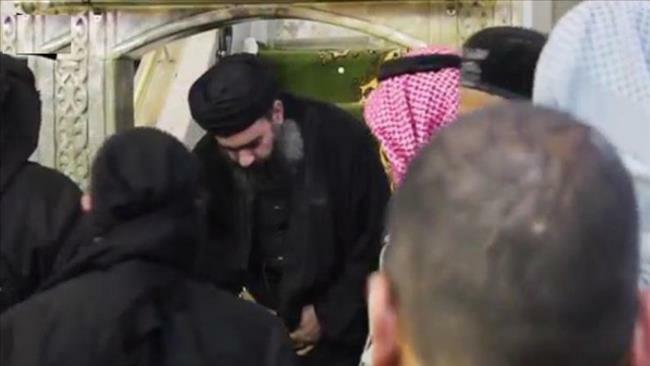 Meanwhile, there are reports that Daesh ringleader Ibrahim al-Samarrai aka Abu Bakr al-Baghdadi has shown up in the western al-Risalah neighborhood of the militant-held city of Mosul. A photo released by Iraq’s al-Sumaria TV shows Daesh ringleader Ibrahim al-Samarrai aka Abu Bakr al-Baghdadi in a Mosul neighborhood. An unnamed source in Iraq’s northern province of Nineveh told al-Sumaria television network that al-Baghdadi emerged in the area on board a white sport utility vehicle. Masked and heavily-armed men dressed in black clothes were guarding his convoy of four vehicles. The source noted that Daesh has placed most of Mosul neighborhoods under curfew, and that the presence of gunmen has been beefed up near state organizations and offices. Mosul, which is the second largest city in Iraq, has been under Daesh control for more than two years.